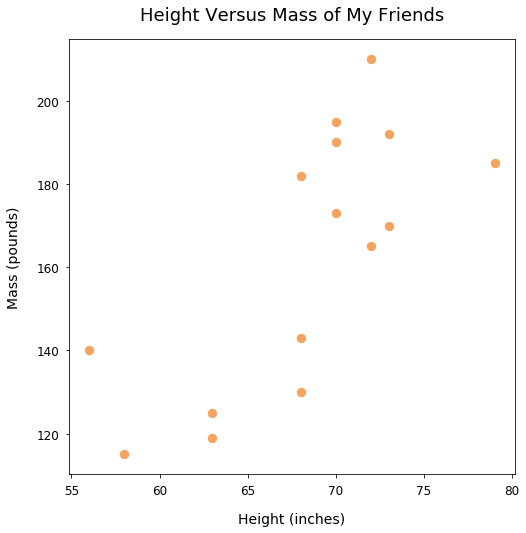 Scatter plots help visually illustrate the relationship between two or more variables of paired data samples. What are paired samples? Think of them as two or more measurements for each observation. For example, you could measure the number of steps taken by someone in a day and the number of calories burned in a day. In that instance, the person is considered the observation. The data samples, as we'll call variables, are the quantitative measurements. In that instance, steps taken in one variable, and number of calories burned is another. On a 2-D plot, each point/dot in our scatter plot represents a single observation and it corresponding . For the activity measurements instance, the x-axis can be the values for steps taken and the y-axis can be values for daily calories burned. Below, I'll walk through several practical examples to illustrate the proper use of scatter plots. 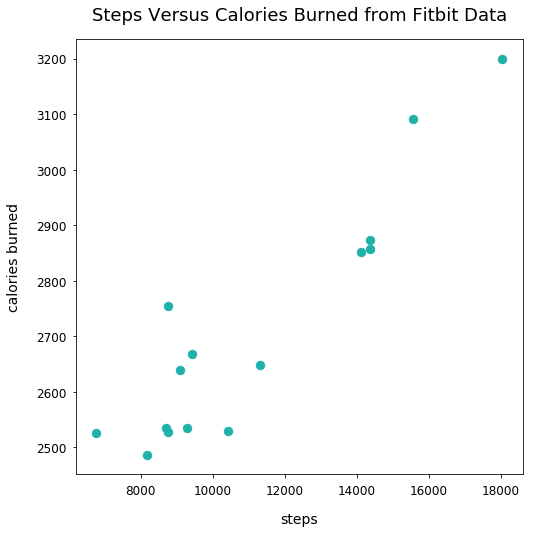 Here is my actual Fitbit data of measurements of daily steps take and daily calories burned. I took 15 days' worth of data. Generally, the more steps taken on a single day, the more calories that were likely burned. I took measurements from 15 of my friends on their height (inches) and mass (pounds). Generally, an increase in height leads to an increase in mass. Below is actual data from a sample of games played by Lebron James in the regular season of 2017-2018. In each game, Lebron was recorded to play a number of minutes and had recorded turnovers (lost possession of the ball to the other team). 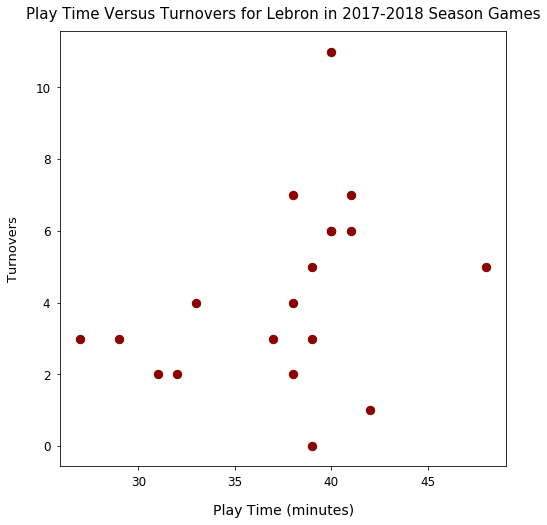 There isn't a clear relationship between minutes played for Lebron and the number of turnovers in games.